There has been unrest in recent months due the Sandanista governments lack of response to wild fires in remote regions of the country. There was clamor about the suppression of information as well. Those protestors made their way to Nicaragua to raise awareness at the end of March. It did not escalate at the time though. This week’s unrest started on Wednesday. It actually has been an issue that has been boiling for a couple years now. The Nicaragua Social Security Institute (INSS) has been accused in La Prensa (as far back as 2009) of loaning out funds to political allies of the government for a wide variety of projects, buildings, housing developments, business building and then other more nefarious accusations. As a result of the abuse of funds INSS is on the brink of financial collapse. Over the last two years the government has raised INSS payroll tax from 16% to the current 19%. That only affected employers. Then on Wednesday the Sandanista Government announced wide ranging INSS tax hikes that affect everyone. If I understand it correctly it will raise payroll tax to 22.5%, raise tax on employees by .75%, eliminate max salary limits on income tax, and worst of all reduces the pensions of the retired elderly by 5%. People are upset at all levels, mostly because they feel they aren’t getting the benefits of the tax, while at the same time there is corrupt use of the funds. Protests and marches began on Wednesday. Then, government employees were sent to the street to protest in favor of the hikes. Then the police and riot police tried to bring order. Violence erupted when government supported agitators joined into the protest and escalated things. Yesterday three people died in the violence related to the protests. The President and First Lady have called for calm, but at the same time shut down major news outlets that were covering the story. We are praying for calm but it also seems like a lot of people are fed up with corruption and they want changes. It is not a good situation. We are praying for everything to be resolved peacefully. We are asking God to bring justice and truth to the situation and our nation as a whole. I hope this helped inform things a little bit and thank you for praying with us! Update Saturday Night April 21: There has been more protesting today and sadly there are more reported deaths including a reporter on the East Coast. Daniel Ortega did speak today and call for calm and dialogue, but people are frustrated by the violent suppression of peaceful protests by his regime. It doesn’t seem it will stop and there are still protests going on tonight. Some of the huge metal symbolic trees the Ortegas put up all around the capital are being torn down. 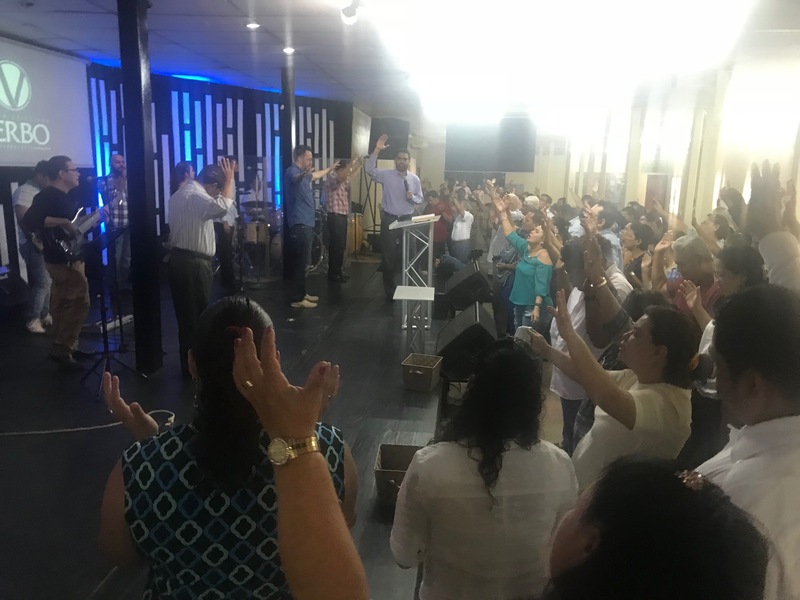 I appreciated this video from neighboring Costa Rica…people gathered in their national stadium praying for Nicaragua. Amen. Update Sunday Morning April 22: international coverage NewYork Times, CNN, Al Jazeera, BBC, The Gaurdian (the Pope has called for end of violence) And still the best site I have found for current videos and often a livestream on FB is local news here in Nicaragua. 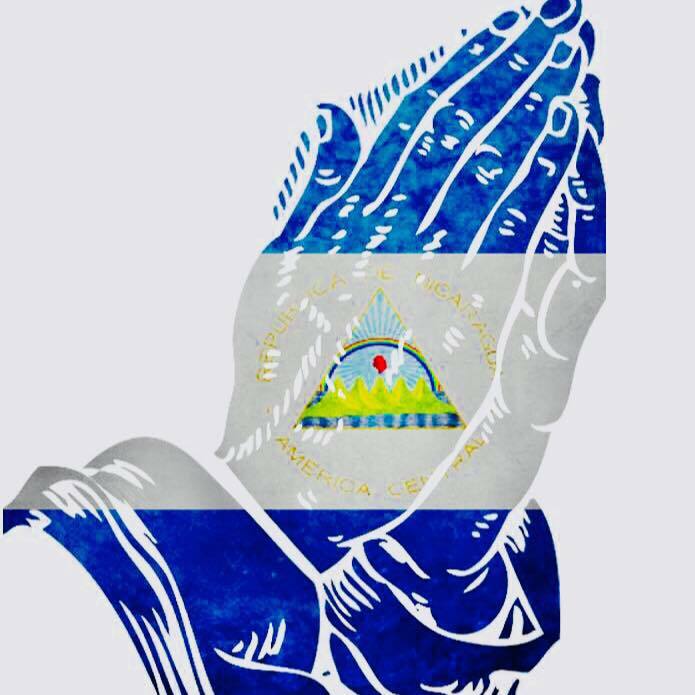 This morning during church we all prayed together for our nation as we sung the worship song “Sana Nuestra Tierra” Please do keep praying for Nicaragua. Update Sunday Afternoon April 22: Today has been a nervous day. 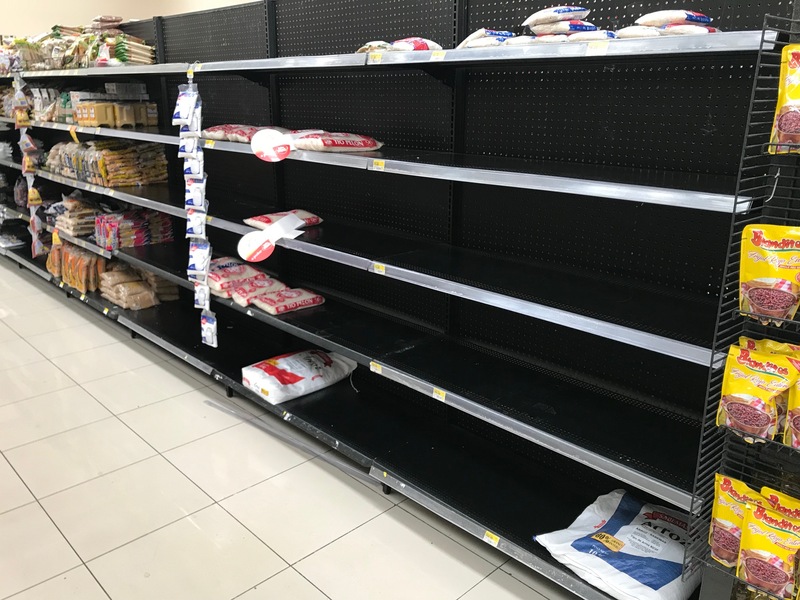 There was lots of looting and rushes on grocery stores and gas stations. The looting is the scary part as many are saying that Sandanista Youth agitators are intentionally causing unrest by looting stores. Many if not most Nicaraguans are going to their corner stores and local supermarkets and defending them when the agitators arrive. Our friends Michael and Jessica Folsom live near the looting area and they shared this live video this morning. Our neighborhood has gathered at our highway entrance to stop looters who are traveling in vehicles around Managua. Below is a video of a looter being confronted with a TV he stole, caution on the language in Spanish. It is a bit violent but shows how the people aren’t allowing it. Update Monday Morning April 23: Yesterday President Daniel Ortega held a press conference with Free Trade Zone businesses to announce he would not implement the Social Security Reforms he proposed that started the unrest. That was a good step and the evening was calmer. But then last night the police attacked University students protesting at a state University and several students were shot and at least one reportedly died. Today there is supposed to be a major march. We are praying the government has decided to stop using deadly force to stop protests and marches. Today will be telling as to whether or not things will calm down. We usually fast on Mondays until 5pm here with Open Hearts and would ask you to join us today and keep Nicaragua in your prayers throughout the day. Thank you. Update Monday Night April 23: The march this afternoon in Managua was pretty incredible, there were tens of thousands if not hundreds of thousands of people who took to the streets. And Praise Jesus, there was no violence against the marchers. This was a great sign and hopefully tomorrow will bring some more steps in a peaceful direction. There are still some really hard feelings among the people after all that has happened, so we will keep praying for peace, truth and justice. Update Tuesday Morning April 24: The night passed without any violence which is also very positive. Today we really don’t know what is going to happen, but the protests and call for regime change are still there. The march was huge and it could have been bigger if public transport hadn’t been closed down. We are praying today for more peace and always for truth and justice. This news report is very informative…thank you for your continued prayers! Update Wednesday Morning April 25: Yesterday was peaceful from morning to evening. There were protests at the National Assembly building and also the Ortega Regime released some of the protesters from prison. The release was criticized because they gave each kid 20 cordobas and dropped them on a highway way out of town without advising anyone. But there was no more violence, praise Jesus! One concerning development is the government decided to cut the free wifi they previously installed at all the public parks. School is supposedly starting back up today, but it will not be a normal day considering the Ministry of Education informed everyone yesterday at 5 p.m.
Krista and I went down to Club Esperanza to help serve the food and spend time with our staff. It was a nice time and everyone seemed to be pretty up beat considering the chaos of the last week. We are hesitantly encouraged and praying for things to continue to calm down! The students at the University plan to hold a march today and we are praying that it will not be attacked. The clamoring for change is still in the air. Thank you for your continued prayers for Nicaragua. Peace, truth and justice, in Jesus name. Amen. News Stories: Havana Times, The Hill (white house reaction), BBC. Also below is Jorge Ramos’ interview with Carlos Chamorro who is the son of Violeta Chamorro the first Nicaraguan elected president after the Sandanista revolution. He is a well known journalist here and if you speak Spanish is it worth the update. There have continued to be marches and memorials services for the dead over the last two days. Again, I say praise Jesus that it has been peaceful and there has been no violence. One of the hardest things to comprehend about this is that in just a short time 63 people were killed and 15 are still missing. The initial spark of the protests was about tax hikes against the people’s social security system. But the reaction by the government to crackdown with lethal violence against protests to such an extreme degree is something that is not going to be forgotten by the people. How could anyone just let that pass? Things have been calm but people are very upset and still clamoring for change. Tonight is a candle light march planned from one of the main universities to one of the major rotundas in Managua. Please keep praying for the peace to continue tonight and into the weekend. On Sunday there is supposed to be a “Dialogue” between the Ortega government and all those calling for his ouster. We are praying for Truth and Justice as those things move forward. Again, considering how rapidly everything descended into chaos last week its hard to know what will happen moving forward. But we are praying God’s hand be upon it. If a change were to come it can happen peacefully, history tells us it is possible. Mr. Buzbee was reflecting yesterday how the Berlin Wall fell, not a single shot fired. One person started hitting with a sledge hammer, the soldiers in their turrets didn’t fire, and all of a sudden it was coming down, peace came to Europe. We are praying for the best case scenario if change comes to Nicaragua. How can it not come? 63 people killed in a weekend of protests in such a small nation…Lord we pray for peace, justice and truth. The major national print Newspaper La Prensa ran a story today to feature the story of 34 of the victims who died during the protests and deadly government reaction last weekend. There are reports of more than 60 deaths nation wide. Click here for the story. This afternoon there is supposed to be a march to the national Catholic cathedral for a prayer gathering to remember those who were killed. The Catholic Church has been very vocal in support of the students. A popular Bishop Silvio Baez was brought to tears in an interview when talking about the students who were killed. Baez has been out in front supporting the university students and calling for peace since the beginning. Tomorrow there is supposed to be a national dialogue to discuss how to move forward peacefully. The talks are supposed to include President Daniel Ortega. The nation is pretty tense waiting for this “dialogue”. Nicaraguans from the more remote parts of the country and the agricultural areas, referred to as “campensinos” by the broader population, are also coming to Managua in caravans to join the weekend marches. 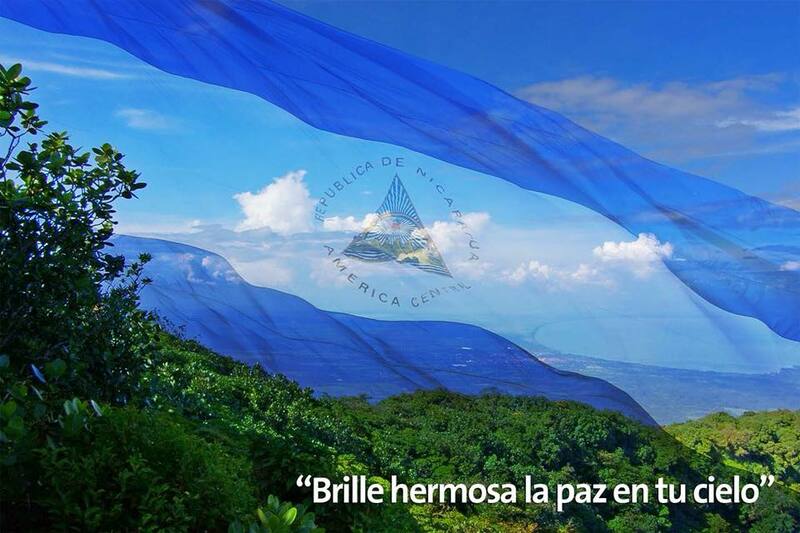 Update Monday April 30th: Saturday was an incredible prayer march for Peace and Justice organized by the Catholic church and joined by tens of thousands if not over 100,000 people of all backgrounds carrying the Nicaraguan flag. It was powerful and this video I saw this evening captures it so well…We are pleading with God for Peace, Justice and Truth in Nicaragua…please keep praying! Unfortunately that link is no longer available….but this is another moving video of the marches remembering those killed overlaid with a speech given by Pedro Juaquin Chamorro in 70’s. Chamorro was a hero of all political parties, and his death was mourned by the entire nation. Reading updates from you, talking with Luis, praying and fasting. I love you all, Farringtons and Buzbees!